Nitrogen or air? Worth the $$? Just recently, my wife bought a new car. It’s been 11 years since her last purchase so she was particularly excited over the end result, considerably less enthusiastic about the actual process. Long story short, this manufacturer’s dealer was ‘subscribing’ to the benefits of tires on all their new vehicles being filled with nitrogen in lieu of air, plain old boring air. Fair enough. My wife’s disenchantment with this discussion was becoming evident. “Will this cost me more? We already agreed on a price. I don’t wish to pay any more than we have agreed.” Recognizing the distinct possibility of a customer walking away, our ever-genial representative quickly and quite professionally agreed that arrangement would be made to still provide this ‘premium service’ – but at no additional cost. Smiles all around, papers were signed, the meeting with the dealer Business Manager occurred and everyone was happy. This, however, got me thinking. 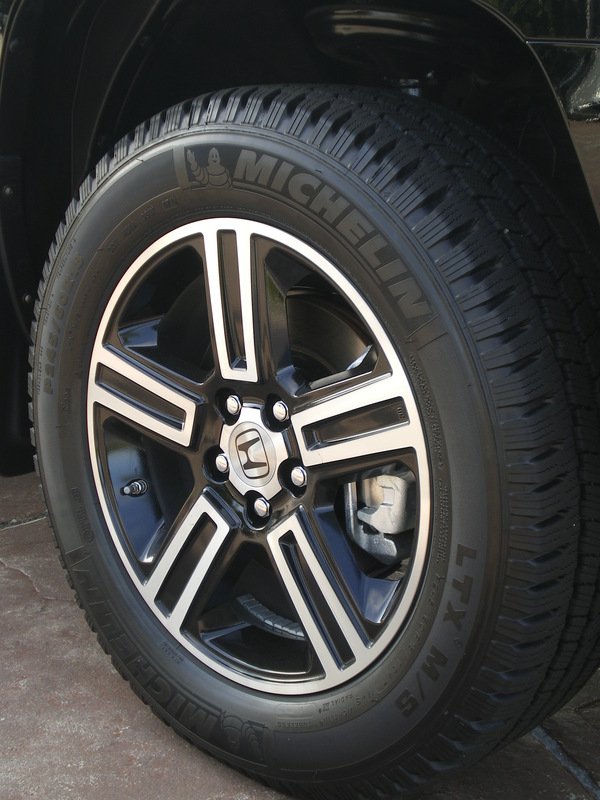 What are the benefits to nitrogen-inflated tires? For some time, nitrogen has been used for inflating tires in aircraft, military vehicles, race cars, and heavy off-road equipment. However for a few years, this odorless tasteless inert gas has slowly been creeping into the everyday lives of the general public. It all started innocently enough, but soon, in apparent stealth mode, nitrogen as an inflation option, managed to make its move toward its mission of ubiquity. Costco/Price Club, the single largest retailer in the world for Michelin tires, started to offer nitrogen fills for all new tires sold. They would also provide the same service for previously air-filled tires, too – at a price. Soon, inNorth Americaat least, other retailers also offered the same service. Nitrogen increases gas mileage. Filling your tires with nitrogen ensures constant proper inflation of tires, therefore increasing gas mileage. Nitrogen decreases tire wear. When a tire is properly inflated it wears out evenly giving you more miles/kilometres on the rubber. With improved wear and tire, tires are less likely to be dumped in landfills sooner than later, therefore initiating environmental rewards all around. Interesting, but what does it really mean? Well, when it’s all distilled, here is the ‘pitch’ for: nitrogen is a more efficient and effective gas for filling car tires as opposed to oxygen due to the fact that molecules of nitrogen are larger, relatively speaking, than molecules of oxygen. Oxygen and nitrogen are both diatomic (composed of two atoms) molecules but since oxygen has a smaller kinetic diameter, it flows through polymers that make up the structure of the tire and may lead to poor tire inflation if not checked regularly. Nitrogen and oxygen also expand and contract differently. Nitrogen is not as responsive to heat fluctuations as oxygen and therefore, pressure irregularities within the tire are not as pronounced or pervasive. This translates into reduced tire wear and overall improved efficiency of the tire. OK, so there may be a longer-term benefit to one’s pocket book – after an initial upfront investment. Tires wear from the outside, not the inside. ‘Plain’ air’s make up is approximately 20% oxygen, 80% nitrogen. Is that 20% critical? Maybe yes, maybe no. By way of casual research, we visited a few major tire manufacturers’ web sites. We saw no statements from a single one making any relevant reference to inflating their brand of tires with 100% nitrogen, instead of compressed air. While the Internet can be a wonderful resource, there are occasions when the voracity of certain claims needs to be verified. In an interview with Jeremy Smith, Manager, Brand Public Relations Community and Corporate Relations for Bridgestone Americas, Inc. we asked the question; air or gas for tire inflation? Cutting to the chase, Smith made it clear that for Bridgestone, in consumer or general commercial vehicles, they do not necessarily advocate one over the other. “However, any tire, when properly inflated and whose pressure is checked regularly, will offer definitive economies to the end user.” While clearly sitting on the political fence, a gentle nudge suggested that paying to maintain proper pressure really did not make much sense. A similar response was given by Darla Elkins, Smith’s counterpart in the motorsport division. To round things out, we had similar discussions with representatives of Michelin, BF Goodrich and Uniroyal. Each of those three companies recommend nitrogen inflation but make it clear that they are not insistent. Nitrogen-inflated tires will lose pressure more slowly, but if any tire is properly and regularly maintained and inspected, it really makes no difference. It is, to these major manufacturers, all still a matter of preference. Looking for further ‘proof’? Visit any top automobile racing group website, and you’ll find the same… Indeed, if nitrogen inflation was so critical, surely NASCAR, F1, Indy and others would be strong proponents of this idea? Instead, nothing is heard from some of the most critical tire users out there. Again, in fairness a few years back, the world of motorsport racing embraced nitrogen. Studies were conducted and ultimately no outrageous advantages were clearly evident. • To meet rigid safety and performance specs, the required tire inflation pressures are often very high, especially in the aerospace industry. The tire inflation pressure for NASA’s space shuttle, for example, is an astounding 315 psi – close to 10 times the pressure in the tires on your every day vehicle. • Nitrogen is an inert gas; it doesn’t combust or oxidize. • The process used to compress nitrogen excludes water vapour. Water vapour can expand if the temperature climbs above 100°C. • Tires inflated with nitrogen leak slower over time than those inflated with compressed air. So, there is a definite case to be made for the use of nitrogen for tire inflation – under the above scenarios. • Nitrogen offers no better protection against road hazards such as cuts and punctures. So no matter what you inflate the tire with, you still need to check the condition and pressure of the tires at least once a month, just as recommended in any vehicle’s owner manual. • Tires that are inflated with compressed air and properly maintained offer the same fuel economy tread wear, and ride comfort as those inflated with nitrogen. • Nitrogen inflation does offer the advantage of having little or no water vapour present in the tire which can cause internal corrosion of the wheel or damage TPMS (tire-pressure monitoring system) sensors. However, if your dealership, tire store of even local gas/service station uses and properly maintains air drying equipment on its compressed air supply, this isn’t an issue with normal air inflation. • Nitrogen for automobile tires is produced by nitrogen generators, which typically achieve about 95 percent purity. But to actually get that level of purity into an automobile tire, you would have to deflate and inflate that tire with nitrogen several times – it’s like purging a new propane tank before first use. If you’re not careful doing this repeated deflation and inflation process, the purity level winds up being closer to 90 percent (compared to the approximate 80 percent nitrogen already in compressed air). Because of this, those claims of less pressure loss with nitrogen are not entirely valid. So at the end of the day, what to do? Like many things in life, you have a choice. Is either method necessarily better? Is either method necessarily worse? Let’s be perfectly clear; it’s personal – and, it comes down to dollars and cents. And yes, while it is true many gas stations now offer air from machines for a very small fee, which is still considerably less than an up to $10 per tire charge for a nitrogen fill. If a major tire and automobile manufacturer do not believe there are any inherent benefits, then, what are you going to do? Let’s allow Honda to have the last word (for now) on this topic; if nitrogen offers no apparent advantages over dry compressed air, then what is their advice to you? Are you ready for this? Stick with the air you breathe. And check your car’s tire pressure regularly. Saving gas consumption through better mileage from properly inflated tires, regardless of the method selected, will have ecological and cost benefits for us all. If nothing else, remember this; it’s all more than just hot air. Hyundai – so, what do you think about them now?